No messing around or pricing games - he has a set price list for electrical work. You tell him what you need done and you see upfront what it costs. I've used him numerous times. Always clean work and no shortcuts. We had a fantastic experience with Mike Skidmore from M&C Electrical Solutions. He was highly skilled, polite, and stuck to his estimate. Can't say enough good things about him. Jerry Montoya of Grounded Electric Services LLC in Troy is the best. I've known him personally for years and have even helped him out with some minor office work. He is a man of integrity, dedication and true expertise. I can't tell you how many times he's shown me pictures of the shoddy work he encounters in homes and I can tell you from personal experience his bar for excellence in his work is higher than anyone I've encountered. He is booking out a little ways but if you call you can get in for an estimate (518) 237-2363. He's a 4th generation Albany Master Electrician. I had a great experience with Chris throughout my attic renovation. He does things the right way with great attention to detail. I couldn't recommend him highly enough. Eric Kniele. Terrific guy who does terrific work. I would second Grounded Electric. 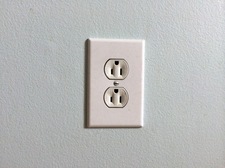 Jerry did minor repair work at my home, new electrical (receptacles and rough in for light fixtures) as part of a kitchen renovation and also replaced a damaged electrical service/panel. I found Jerry to be both responsive and reasonably priced. Affordable Electric. Dave is the owner. Reliable, truly affordable, trust-worthy and does an excellent job. While our job was larger (re-wired our entire house) they do all jobs large and small. Terrific attention to detail and also an all around great guy to work with. Chris and Don were meticulous in all service work I had for them. My landscape lights look great, and their design work of my recessed lights and ceiling fan are second to none. Will definetly have them back for my future projects.